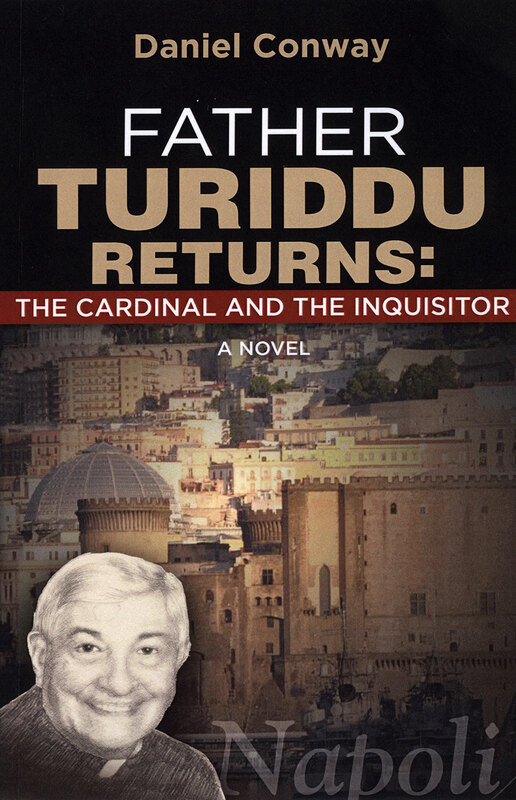 Father Turiddu Returns: The Cardinal and the Inquisitor is available online at www.amazon.com. At 82, “Father T” is still active, living out his priestly vocation as full-time pastor of a parish and staying very involved not only in his faith community but in the local community that he loves. But that part of his life is put on hold when he learns that his former archbishop and now cardinal is being threatened in Rome by a left-wing terrorist group trying to intimidate and frighten the Church into changing its position on several issues. In his latest novel Father Turiddu Returns: The Cardinal and the Inquisitor, author Daniel Conway advances the fictional story of Father Salvatore E. Turiddu, a priest modeled after Msgr. Salvatore Polizzi, an 83-year-old priest who currently serves as pastor of St. Roch Parish in St. Louis, Mo., and is a longtime friend of Conway. Similar to the first novel, Father Turiddu: The Savior of the City, Father T learns of a challenge affecting someone or something he cares about and jumps into action to address the situation. When Father Turiddu hears that his former shepherd, now a cardinal in Rome leading the Apostolic Signature (the Church’s Supreme Court), is moved from his residence to inside the Vatican after receiving death threats from the Sword of Justice terrorist group, he jumps on a plane to Italy to see what he can do to help. The cardinal is later moved to a Benedictine monastery, then kidnapped and taken to Naples where the Grand Inquisitor of the terrorist group attempts to intimidate him to “confess to crimes” committed by the Church throughout its history. Though there are no real-life situations shared in the book, Conway said some of the fictional stories have their roots in real-life situations. One truth that cannot be ignored is the author’s commitment to the printed word. Conway, who serves as senior vice president for planning, marketing, and advancement at Marian University in Indianapolis and occasionally writes editorials for The Criterion, admitted that writing is a “labor of love” for him. That love shines through not only in his characters in the novel, but also as he discusses clergy who have influenced him. “During the past 45 years, since I entered the college seminary at Saint Meinrad, I have come to know and love hundreds of priests of all ages, temperament and ecclesial points of view—liberal, conservative and everything in between,” Conway said. As readers peruse the fast-paced novel, they too will no doubt gain a better understanding of a priest whose vocation shapes all he says and does. Readers will also appreciate how Conway is able to blend intrigue and action with the story’s strong faith backdrop. Family, including Father T’s strong Silician roots, is at the heart of the story, too.